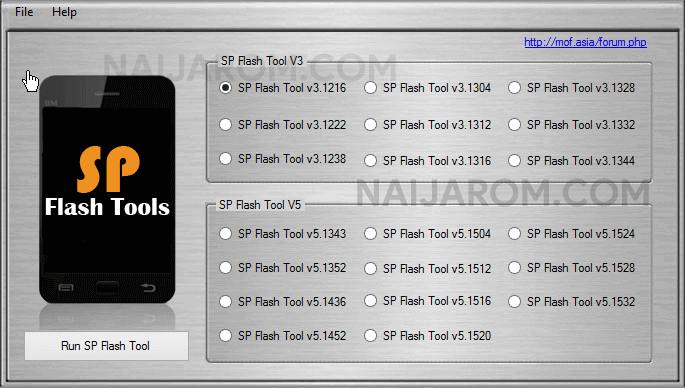 AIO SP Flash Tool is a small application for Windows Computer which allows you to flash the Stock Firmware on Mediatek Smartphone and Tablets. It also allows you to remove the FRP protection from the Mediatek Smartphone and Tablets in a few clicks only. It also allows you to flash any custom recovery on your Mediatek Device. It also allows you to flash any custom boot.img package on your Mediatek device. It also allows you to format your Mediatek device in a click only. It also helps you to root your Mediatek device by flashing TWRP or CWM recovery on the device or flashing SuperSU package on the device. [*] Credits: AIO SP Flash Tool is created and distributed by Mof Asia (developer). So, full credits goes to Mof Asia (developer) for sharing the tool for free.